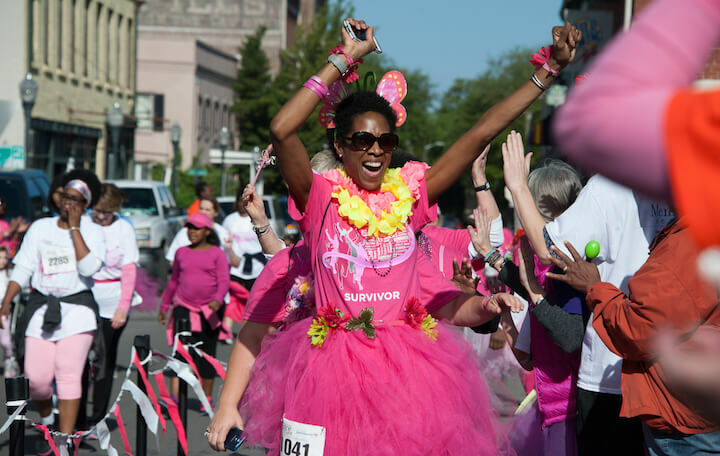 When the Susan G. Komen Race for the Cure came to the Coastal Georgia area in 2006, it faced a number of challenges, most notably the unfavorable national spotlight due to reports of controversial funding. RobMark’s team knew it had to bring a cohesive, local message for the Coastal effort to succeed, while respecting the worthwhile organization’s mission and roots. Our “What’s raised here, stays here” approach across various platforms was, and continues to be, an integral part of the strategy. This message drove home the fact that 75% of funds raised through the Coastal Georgia affiliate of Susan G. Komen are used for local programs. This message was delivered to the public via TV and radio PSAs among other public relations efforts, as well as via print ads, on race materials, and in the organization’s annual report. Continued success! 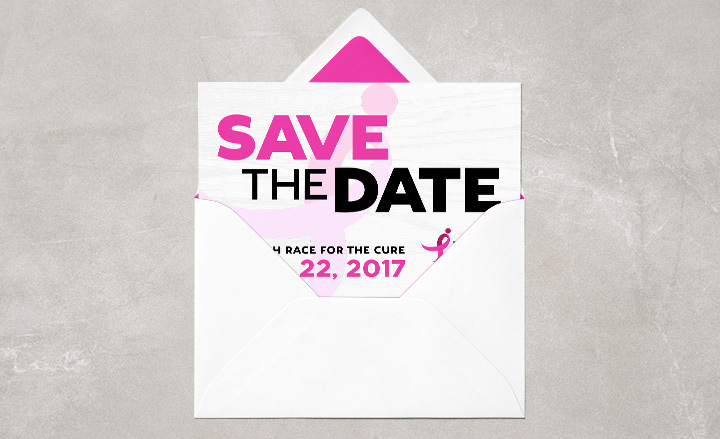 The Susan G. Komen Race for the Cure now serves nine counties in Georgia and is one of the area’s leading charitable organizations. 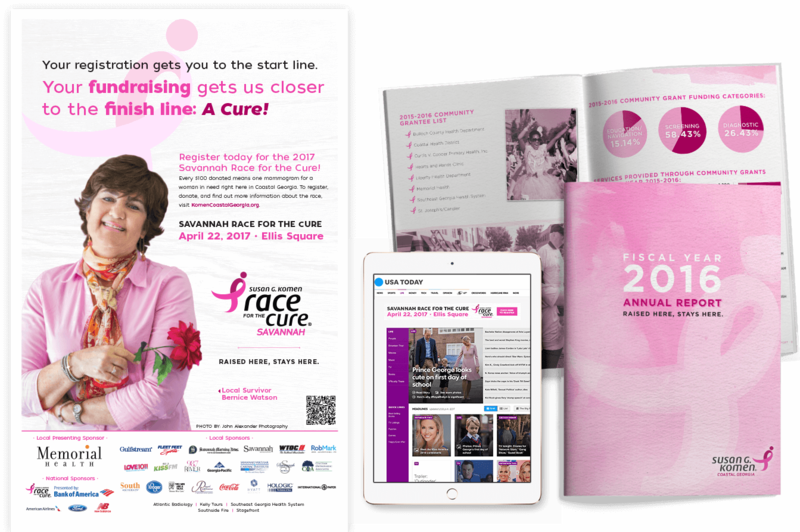 As a result of its successful fundraising efforts that tie into the “What’s Raised Here, Stays Here” messaging, Susan G. Komen of Coastal Georgia has invested more than two million dollars into local programs to help provide access to breast cancer screening, support services and more to vulnerable populations.